In the US, credit card debt relief options are not about cutting credit card debts but also help consumers learn how to manage their spending via credit cards. The use of credit card is increasingly becoming as traditional as the apple pie. American families seem to be taking higher amounts of debt just to keep up with the rising costs of living. Debt has escalated to a level where the entire nation seems to be in dire need of credit card debt relief assistance. A 2016 report by NerdWallet, compiled from data sourced from the Census Bureau and the Federal Reserve Bank of New York, shows that indebted households in the US have an average of $16,061 in credit balances. The report states that total household debt has risen to $132,529, from just $88,063 in 2002. While income has grown by 28% in the last 13 years, the cost of living has risen by 30% in the same period. Medical expenses have increased by 57% since 2003 while housing rose by 32% and cost of food by 36 percent. According to Sean McQuay, a credit card associated at NerdWallet, wage growth is still sluggish despite the growing economy. As a result, meeting financial obligations is becoming increasingly harder every year. Most Americans have over the years relied on credit cards to close the gap between a slow-paced income growth and fast-rising costs of living. Credit cards provide an easy and convenient way of borrowing but quite are expensive in the long run. Presently, the average credit card interest rate stands at 18.76 percent. A recent CNBC study shows that the average American household pays a credit card interest of $1,296 ever year. Research on credit card debt conducted by ValuePenguin using data from the Federal Reserve and the U.S Census Bureau found that the average credit card debt for most American households has risen by ten percent in the last three years. What is even scarier is the fact that it would take a typical indebted household close to 14 years to pay off its existing debt by paying a minimum of 1.5% of the balance and interest. The ValuePenguin study also exposed another shocking fact. Households with the least income have the highest amounts of credit card debt in all income categories. It appears people who cannot afford credit card debt have the most. While the average credit card debt in all American households is around $5,700, households with zero or negative worth carry an average debt of $10,3017, which is 27% more than households with a net worth of $500,000 and above. Debts, especially credit card debts, have become another symbol of American tradition. Credit card companies are also known for using convincing skills to encourage cardholders to keep on spending with little regard to whether or not the customer is financially capable of paying the debt incurred over time. The companies woo users with all sorts of incentives such as low-interest periods, 0% interest card transfers, tempting cash back and airline miles offers, and much more. What many cardholders fail to see is the fact that the perks are actually in favor of the credit card company. For example, the 0% or low-interest rate they give you will skyrocket as soon as the promotional period ends. In a perfect world, you can easily solve your credit card debt problem by observing a few months of frugal living while focusing on a tight budget. Unfortunately, no matter how much you tighten your belt, some debt problems are just too huge to be handled by traditional payment methods. As a result, many people end up paying credit card debts month after month yet the balances keep on piling up. They struggle to eliminate their debts but don’t seem to be getting anywhere. This is where credit card debt relief comes in. Credit card debt relief provides a better way forward in managing your debts. What is credit card debt relief? Credit card debt relief refers to alternative payment options that help you to pay off your debts in more affordable and manageable ways. The goal of debt relief is to pay back what you owe easily and without damaging your credit. It is a process of avoiding bankruptcy and regaining your financial stability with as little hassle as possible. Accelerating the duration you take to pay off credit card debts. The best credit card debt relief option is one that helps you to accomplish as many of the above-mentioned benefits as possible. A relief option that gives you all the benefits mentioned above is definitely the best. 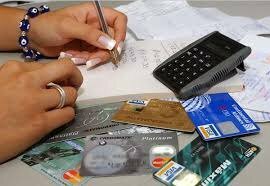 There are many companies providing a wide range of credit card debt relief options depending on your unique circumstances and financial ability. Some of the most practical solutions that can help you pay off your credit card debts in a more manageable way include the following. This is usually the first step in a credit card debt relief process. It basically involves setting up a meeting with your creditors and negotiating for a reduced interest rate on your debts. You can do it on your own, if you are a good negotiator, or enlist the help of a professional credit card debt consolidation company. Interest rate negotiation helps to give you a lower APR. This means that less of your monthly payment is eaten up by high interest. A lower APR helps you to pay the entire debt faster. However, you need a solid payment history and a good credit score to achieve this goal. You have a higher chance of getting your interest rate reduced if you are a good customer who pays on time. This is another option that you can either do it on your own or with the help of an expert credit card debt relief professional. It simply involves transferring your balances from the cards you use to a completely new card. Normally, a new credit card comes with a 0% APR introductory offer that ranges from 6 to 24 months. A credit card balance transfer gives you a grace period of several months in which you can pay off your debts without interest charges. All the payments you make during this period go into eliminating the debt. Transferring balances helps to accelerate the time you take to pay off the entire debt. However, you need a high credit score to for this process to work. A higher credit score gives you a longer introductory period within which to pay the debt interest-free. With this option, you can completely eliminate your debt before the introductory period is over. Credit card companies are known for charging notoriously high-interest rates compared to personal loans. Regular loans charge lower interest rates. You can, therefore, take out a personal loan and use the funds to pay off your credit card debt. This will leave you with the unsecured loan to pay off, which comes with a lower interest rate. When you consolidate credit card debt with a personal loan, you not only lower the interest rate charged on the credit card but also get fixed payments that are easier to handle. However, remember that you need to have a good credit score to qualify for a loan with a lower interest rate. You should ideally aim for an unsecured loan term of at least 5 years with a 10% or less interest rate. This is a program that assists you in consolidating your credit card debts. You can join the program with the help of a credit counseling agency. The program managers help you to identify a payment process that suits your budget then negotiate with your creditors for reduced interest rates. You’ll then make monthly payments to the agency and they’ll distribute the negotiated payments to all your creditors. A debt management program helps because the credit counseling agency acts on your behalf to negotiate for lower interest rates regardless of your credit score. The agency helps you to work out an affordable monthly payment structure that fits your budget. They’ll even negotiate to eliminate penalties and other fees charged to your debt. You’ll be able to pay off your debt in a manageable way and as a result, avoid damaging your credit further. A debt settlement option should be considered as a last resort to avoid filing for bankruptcy. This option helps you to settle the debt for less than you actually owe. Basically, you’ll make a lump-sum payment equal to a given percentage of the total debt and the creditor will write off the remaining balance. This process only works for debts that have reached the collections stage. You’ll also be required to make a lump-sum payment, which may not be easy to generate if you are already in a financial mess. It can also cause damage to your credit. Nevertheless, this option helps you to get out of debt by paying less than what you actually owe. Looking at it from a positive angle, borrowing is not always a bad idea. When you pay off your credit card debts diligently, you improve your credit score, allowing you to access more credit in future. Debt becomes a nightmare when you borrow more than you can afford to repay. However, credit cards are quite useful when you use them responsibly. For instance, they are easier to carry than cash, they allow you to make purchases even when you don’t have enough cash in your checking account, and can be a lifesaver in case of a financial emergency. Credit cards also help you in managing your budget since they come with receipts for every payment you make. They help you to track your expenses. Credit cards become a problem if you abuse them, which is often easy and tempting. Many Americans find themselves in unmanageable debts due to irresponsible use of credit cards. Fortunately, you can regain control of your finances regardless of the severity of your debt situation through credit card debt relief services. For all your credit card debt relief options you want to call Credit Card Debt Relief.